One of the mistakes. Let me rephrase that, one of the many mistakes that I have made in the course of my years in ministry is the premature appointment of individuals to leadership. Whether it was to a position of worship leader, a teacher in a Bible study, or even teaching from the pulpit the consequences were…not always so good. We all want to have those positions filled, for back-up, for “variety,” or just to take a little pressure off from us; but at what expense? I do confess, I missed a few of the “obvious ones” along the way, some of them desiring to serve from clearly wrong motives, but I didn’t miss them all. Still, I fell for too many. Maybe it was because they presented as a gifted, knowledgeable instructor, or dynamic leader, or someone with a great pedigree, but those gifts in no way made up for the lack of character eventually revealed. Now, this is just meant to be a word of caution–that you would not do what I ended up doing; but my fear is that in our desire to fill the pool of positions, we’re going to compromise. Sometimes, we think the best of people; we hope for the best, thus obscuring sound judgment. At some point in time, we’re going to allow somebody to serve who should not be serving, and there will be damage. He will drag some down; she will take some away. We can, and should give weight to somebody’s training, even to their institution of education, but it takes a lot longer to vet them according to their character. References are good, references are essential, but they don’t take the place of observation and personal verification of true Christian character. It takes time to observe an individual in his integrity and his life; it takes time to assess character. In fact, we are looking for all traces of Christian character. How often we allow years on a resume, seminary degrees, or abilities to be substituted for that character, and we’re ready to give them the checkered flag? Ahhh, the words of Paul to Timothy: “Do not lay hands upon anyone too hastily and thereby share responsibility for the sins of others; keep yourself free from sin” (1 Timothy 5:22). Wise words of a seasoned pastor to his protégé. Words of a shepherd to the younger shepherd. Wisdom transferred as to how Timothy can protect his flock from future danger and chaos. How I should have read, and re-read, and understood those words before going into ministry! How much better off I would have been, and the sheep in my care had I honored that admonition. Certainly, I believe that Paul’s caution applies to those being placed in the overseer positions of elders, as well as deacons, but it applies to those who serve in other capacities in the church as well. Or, to those who are perceived as being in that type of leadership. Let’s be honest, not everybody serving in ministry, should be serving in ministry. Some have squeezed in because there was a vacuum, a spot needing to be filled, and they were the available party. Some may have been appointed because they exhibited a particular skill, or had a great degree. Some may even be able to boast experience in another ministry. But, by all rites they should not be there, and likely will have an overall negligible effect except by the grace and protection of God. 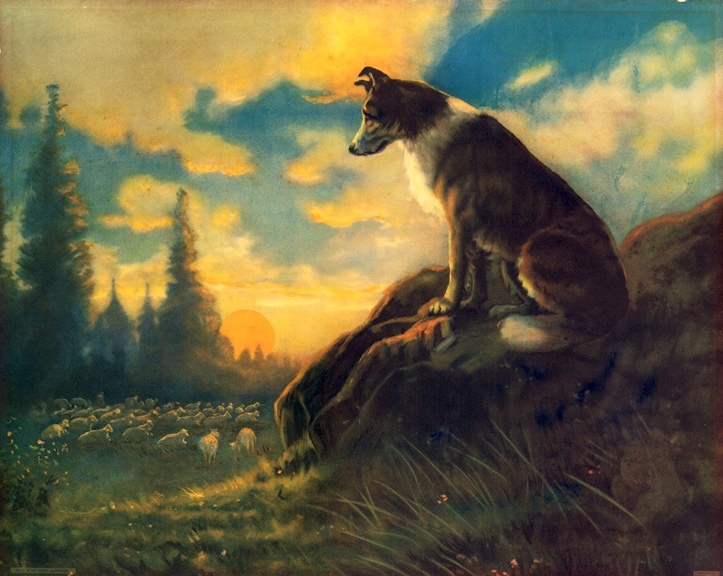 Poor selection of those to be in charge leaves the leaders responsible, but most severely of all, it causes chaos in the walls of the sheepfold, as someone less qualified than they should be, or at worst, a wolf has been let in. Paul’s words of caution to Timothy encompass many variables: calling, competence, content, capability, and yes, character. These are in addition to the perhaps more “objective” requirements issued in Titus 1:5-9, 1 Timothy 3:1-7, and 1 Peter 5:1-4. And, by the way, talent (ability) never makes up for a lack of character. Selection of those who are going to be placed over the flock requires careful observation, and discernment. Yes, the temptation is there to overlook…but, do not take it lightly. Trust me. It is important. It matters if the person being considered is a denominational leader, a teaching pastor, elder, deacon, music leader, or Sunday school teacher…failure to properly vet this person will cause damage. Well, I did let some unwise choices make it through the cracks. And I paid for it, and at times, I still do. Their character was revealed sometimes in their attitudes, words to others undermining the leadership, or it was evidenced in questionable content of their instruction. In time they left…and the manner in which they left affirmed all suspicion of character. Years later, the residue of my indiscretion remains in little subtle ripples upon our shores. But, I live and I learn. I press on in the current demands of ministry. I love the Shepherd. I love the sheep. And move, maybe not quite so fast. You may feel like you’re in a hurry, but the Lord is not. It’s ministry; not a race.